While many people start thinking of allergy season when spring begins, there are millions who have allergies year-round and when symptoms including headaches, sniffling noses, stuffy head and coughing begins, it can make it difficult to focus on work, family time or even rest. 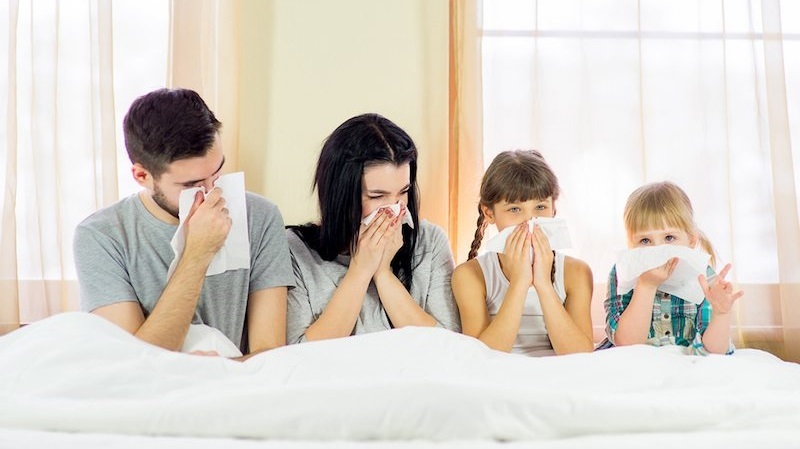 Did you know that some of the very things that cause seasonal allergies or year-long allergy symptoms can be combatted just by taking care of a few things inside your very home? Here are a few things to keep in mind when you need to battle the allergens and keep those frustrating symptoms at bay. All your linens including blankets, sheets and even your towels, wash cloths and other fabrics should be washed in hot water so you destroy the allergens during the cleaning cycle. Be sure to dry everything on a hot setting to eliminate dust mites and other allergens that will cling to the fabric. No matter which type of AC unit you have in your home, it should be maintenance at least once per year. It’s usually advised to have regular maintenance checks set up in the early spring to keep the unit pumping cool air and to ensure it is clean so dust and dirt won’t circulate through the air inside your home. One of the first signs that your AC unit needs cleaned could be you or others in your home sniffling or sneezing or showing other signs of allergies. Be sure to hire a pro to get your unit cleaned and to make sure everything is working right before hot weather sets in and breathing becomes difficult. While annual AC maintenance is important, it’s also important to check your air ducts to make sure they aren’t gunked up with dirt, grime or even insects. You’ll also want to change your air filter once every 1-3 months to make sure the air quality is clean. Most of us use dusting spray when we dust our furniture, but using a dry cloth, even with the spray cleaners, can still release dust into the air that we breathe. For best results and to lessen the chance of circulating dust throughout your home, a damp cloth will work best. Your mattress that is! If you have a double-sided mattress and can flip it every so often, do so to help reduce allergens that slink into the mattress. You’ll want to clean the mattress before flipping by taking a vacuum to it or even by taking it outside to air out in the warm sunshine and fresh air. Be sure to use a cover to prevent dust mites and keep it washed to make sure everything is clean. Remember, to keep the allergens out and the fresh air in, be sure to keep things clean and keep your air flowing smoothly all year long. To schedule AC maintenance, be sure to contact a professional AC contractor today to get your maintenance started and to make sure the air in your home is cool and fresh so you can breathe easy. Contractors Today is here to help and has the information you need to find the best AC contractor in your area.